DO YOU WANT TO UNLEASH THE ENORMOUS CAPABILITY WITHIN YOUR PEOPLE? 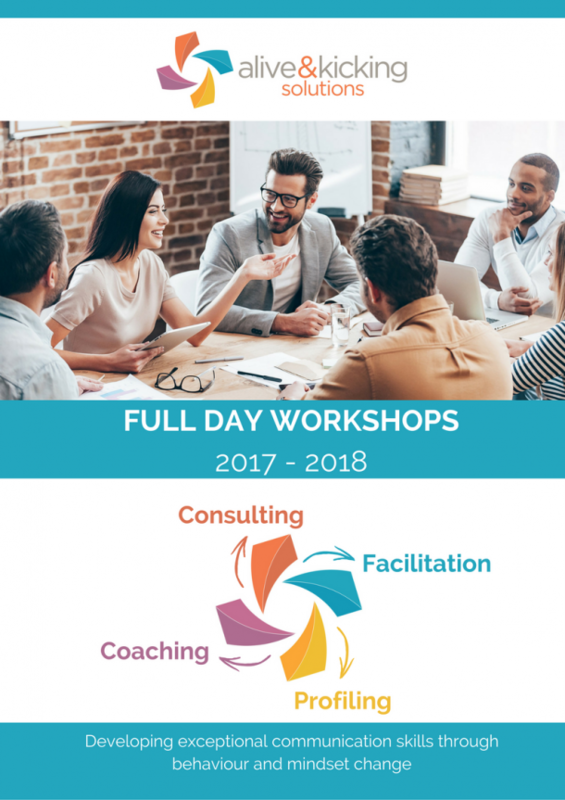 This Peak Performance Coaching Program provides an ideal environment for organisations to explore, maintain and develop positive working cultures. The following information offers a high-level overview of the Peak Performance Coaching workshop sessions. Workshop 2 Learning to choose the correct improvement tool. Where Training ends and Coaching begins. Developing Organisational Standards ~ the beginning of the coaching story. Workshop 4 The Brass Tacks – Part 2: Learning to create Development Activities and track them across time. Workshop 5 The Real Thing: Learn / Do / Learn Modelling. Workshop 6 The Moment of Truth: Learning the rules for effective feedback / The Positive Sandwich / Setting up the Ground Rules for conducting an effective feedback session. Workshop 8 Building dynamic activities: How to create facilitator’s guides and activities that effectively address specific skills. Alive & Kicking Solutions use a real approach to human interaction that enables individuals, teams and organisations to connect at a deeper, more authentic, level ensuring understanding, trust and respect and leading to more creative and productive workplaces. Email us at hello@aliveandkicking.com.au for more information.